What is an Ohio Quit Claim Deed? 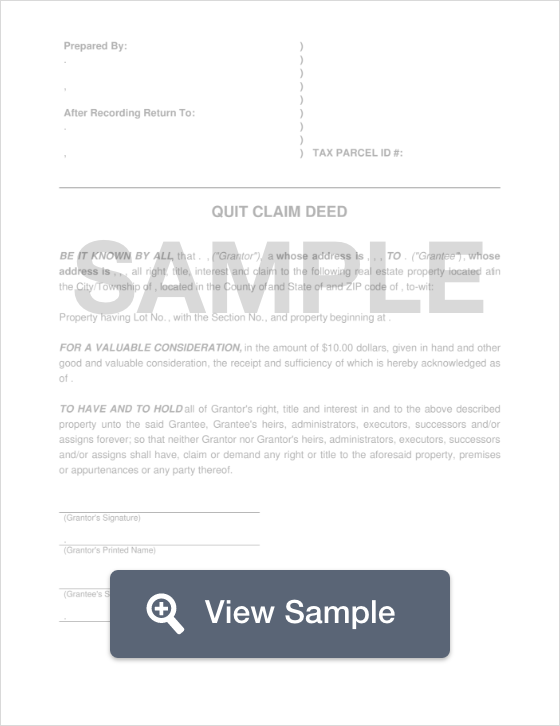 Ohio Quit Claim Deed: What Is It? An Ohio quit claim deed is a legal document that adheres to state law, and legally transfers the ownership interest of a property from one person to the next. This form of transfer comes with no warranties or guarantees that the property title is clear, and the seller has the authority to sell the property. Generally, this form of transfer is conducted between family members, however, anyone who purchases a home using this type of document is strongly encouraged to conduct a thorough title search to ensure that they are not inheriting a host of problems. Signing - According to Ohio State Law, the Grantor must present the quit claim deed, and sign it in the presence of a Notary Public (§ 5301.01). Recording - Once the document has been properly filled out, signed by the Grantor, and notarized, it must be filed with the County Recorder’s Office in the city or county where the property is located.